...and you don't have to leave the 'hood! Each ticket includes entrance to the event, a glass of wine, two appetizers, and a fun evening! 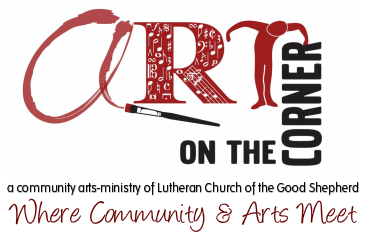 ﻿Art on the Corner welcomes Broken Reed Saxophone Quartet to JAZZ NITE! 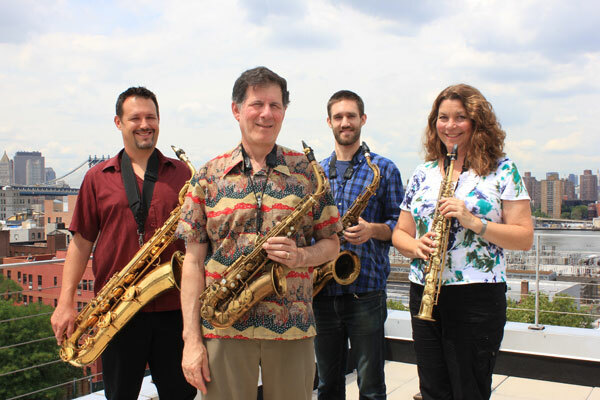 “Crime Jazz” is an exciting night of music connected with crime and criminals. The program begins with the theme songs of 1950s detective shows written by Johnny Mandel, Henry Mancini and Nelson Riddle, and progresses to the present day with novel arrangements of rock classics such as Michael Jackson’s, "Smooth Criminal,” and Aerosmith’s, "Janie’s Got a Gun." Gerard possesses a rare collection of talents not often seen together. Versatile and virtuosic in his playing and composition, Gerard has a way of coaxing the beautiful from the unexpected. With his diverse influences—from jazz and swing to Latin and classical—and his liberal tapping of the imagination, his arrangements are thoughtful and exuberant and his performances are as formally impeccable as they are playful. They say great texts play with one another and the same holds true for music; the humor in some of his more serious pieces highlights their earnestness and this lively weight renders them achingly alive. You have only to hear his Four Seasons, Four Saxes, New Four-Casts, re-creation of the Vivaldi classic to know that you are in the presence of a musical master. He has been lauded by the Washington Post for his “humor and crossover composing skill,” “chops and range” and the “ingratiating,” “lived-in feeling” of his music” and by hurdaudio.blogspot.com for his “muted, yet powerful tone and special attention toward phrasing and accent structure.” Dance Magazine dubbed his music “brilliant” and jons-show-log.blogspot.com has described his arrangements as “superb.” Gerard fuses fun listening with dissonant sound. He is even good at the elusive, imprecise science of improvisation, while maintaining a strong sense of control when playing his arrangements. His headier music often functions as a mosaic—artistically assembled bits of sound strung together by his expert composing and perceptive performances from the BRSQ group members. Together, they transport their audience everywhere, from New Orleans jazz clubs and the swinging sixties, to the Baroque period and the pages of poetry and popular culture. 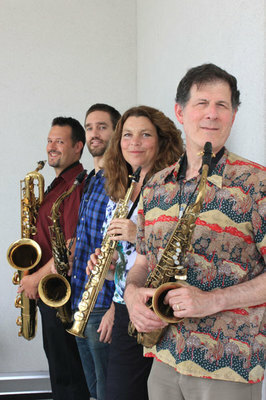 As its name implies, the group is as linked by its sense of humor as it is by its unique sound.